Today all the central mass media of the Russian Federation reported the "abduction" of a journalist of the "First Channel" in Kyiv. Today the Russian "First Channel" told about the abduction of its correspondent Anna Kurbatova in Kyiv, the relevant information is published by the press service of the channel. “Anna Kurbatov was captured by unknown people near the house, put in a car and taken away. According to our information, the officers of the Security Service detained Anna Kurbatova. 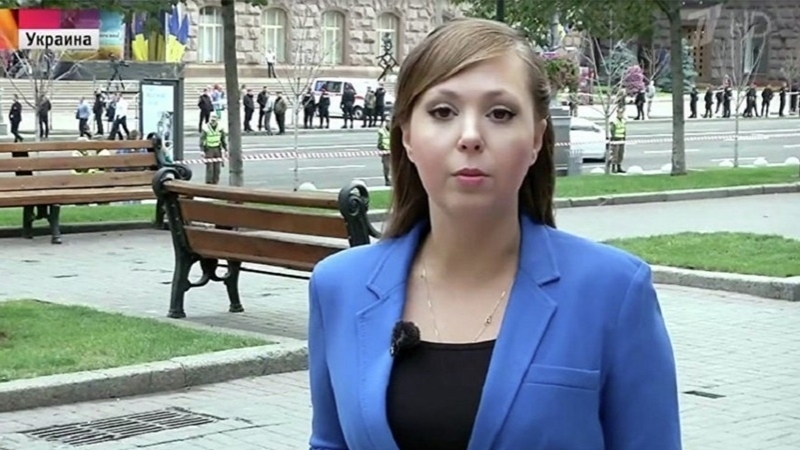 Previously, the "First Channel" correspondent received threats, for example, after reporting on the Independence Day of Ukraine," the First Channel's press service said. The Security Service of Ukraine reported that the detention of a Russian journalist was carried out within the context of the law. “Russian propagandist Anna Kurbatova will be forcibly returned to Russia. Ukraine is a law-governed state, its law enforcement bodies operate exclusively within the framework of the current legislation. At the moment, the necessary documents are being processed for her official deportation. And this will happen to everyone who intends to dishonor Ukraine," the press secretary of the Security Service Yelena Gitlyanskaya, wrote on her Facebook page. Kurbatova was included in the database of the Ukrainian site "Peacemaker". The authors of the site accused the journalist of manipulating information and preparing a biased story about the parade in honor of the Independence Day of Ukraine.